Much (MUCH) More than your average HR/Operations Consultant! J.French Consulting - Build Your Business & Leverage Your Brand - Start Here. I'm posting this article after watching (with varying degrees of distress) the responses across social media outlets to the untimely and unfortunate death of Paul Walker on November 30. I would like to take this opportunity to speak directly to the folks who expressed anger, angst and/or frustration that media documentation of Paul Walker's death is receiving - in your opinion, too much attention - and a cause or issue near and dear to you does not receive enough. I read a lot of comments, saw a lot of hashtags, posts, memes, and shares expressing frustration that some people and stories get more attention than other causes that folks believe would be more deserving of attention and resources. But before you post in anger or share that snarky meme - Step away from the keyboard and pocket your smartphones. You might be doing your cause more harm than good. I'd like to help out, if I may be so bold. Before you start typing furiously in response to something you see as an injustice displayed using social media, please stop and consider these tips that can help you vent your frustration and possibly do some good, in a constructive and effective way. A couple are my opinions, but hey - it's my my party, right? 1. Consider Karma. Warning - I'm about to foist my opinion on you. Before deciding that someone or something is unworthy of support or attention by others, consider the kind of energy you want to put into the world. See this TED talk on compassion and empathy. You don't need to advocate for something at the expense of something or someone else. Unless your future Wikipedia page will truthfully say that you were perfect, saved gazillions of lives, cured world hunger and fostered world peace, you might not be in a position to judge the value of others. Consider what might be said about you one day, and how that might impact your loved ones. 2. When you share about the "bad guys," the bad guys win. Don't shoot yourself or your cause in the social media foot! Beyond etiquette, social media is built entirely around the concept of sharing. When you post or comment on one, share an image, write a blog, etc etc, and you refer to, like, hash tag, or link to the *thing* that you are upset about, the popularity of that post, link, tweet, image, topic, etc. goes up. On the back end of that is someone like me (or for the big guns, an entire squadron of people and customized programs) who will be looking at the analytics of those posts. I see that an image, video or post was very popular, or that there is a topic trending on twitter by the hashtags appearing, and that tells me to put up more information about that topic because its hot and popular. Facebook just updated it's algorithm to put more "high quality" posts on your news feed. That "high quality" information is put into your news feed based on comments and interactions with posts by you and your friends. Google and other search engines use Web Crawlers that search sites (like the one you're looking at) and index them in a HUGE library of words and other topics to help the search engine to return the most relevant results. Sometimes the best way to reduce the popularity of a person or topic who-shall-not-be-named is not to name it. So here's the short story - like it or not - the more you post, share or comment on or about the thing you don't want to see - the more you and your friends are going to see it. 3. Think, I mean really think, before you post. If you really feel it's important and appropriate to respond to a post, then that's what you need to do. Just remember that the Internet is a very public entity with a long and very visual memory. You can delete something you posted but that doesn't mean it goes away. Read above regarding web crawlers. Sites also cache their pages for future reference, so just because you took a post or picture down doesn't mean it can't be found or shared widely later on. It's hard to take things back once they're out there on the World Wide Web. Use caution! If you see something you really want to respond to, play the "fact versus opinion" game first. Facts can be supported with evidence such as statistics, studies and research. Opinions are, well, just that. Arthur, the PBS kids show, has a very useful game to tell the difference. People are entitled to their opinions. That doesn't mean no one can disagree with them, but use caution - don't make the mistake of stating your opinion as fact. Also - beware the baited blog or article title. Don't get sucked into commenting on a post or article without reading it. Many times the packaging of the piece is deliberately inflammatory and sometimes even quite misleading. Upworthy is an excellent example where its titles are very effective at getting clicks and views, but sometimes the content does not always live up to the hype. Here's a great article on the concept of the catchy title via Upworthy. Titling articles in this way never fails to result in users engaging in flaming - posting ignorant, inflammatory and sometimes even hateful comments, often directed at other commenters - all because they didn't read. Don't be that guy. If you've decided to respond, have a clear head, I suggest following the applicable email etiquette rules that have been around forever now. Vaya con dios. You may not have agreed with the campaign, but the HRC Equal Marriage Rights campaign was immensely successful and allowed so much room for people to make it their own. Find a local, regional and/or national group that represents the cause you are interested in. Do an online search and see what's out there. Fan them on Facebook. Follow them on Twitter, Instagram, YouTube, Google+, and wherever else they appear on social media, etc etc etc. Share this with your group of friends. Share things on those pages. Sometimes if you share something good, you'll get a re-post and some props! If such a group does not exist, create one! There are tons of tips on how to get one started. Go start one, and get your friends on board! It's often safest to research groups before you join and make sure it's the original and that they are who they say they are- some are started by well-intentioned folks but those individual pages may be siphoning off followers and pulling attention from a recognized group. Share interesting status updates posted by these groups, including active campaigns, or link to them. This will cause a trail that leads back to that group. If you're going to share, add a comment about why it means something to you - make it personal. Your friends are more likely to engage if it helps them learn more about you. Some campaigns will ask you for your own individual twist or input. Here are Mashable's top 3 social media campaigns of 2013 to give you an idea of what I'm talking about. Tag, tag, tag. If you're going to post on your own, make sure to tag (or link to in whatever way possible) to what you're talking about so that people can learn more about what you're talking about, follow on their own and maybe even engage. Just because you can't see someone doesn't mean you can't hurt them. 5. Don't forget the Social part of social media. It took me this long to say it - but folks, don't be jerks to each other on the Internet. The WWW, and particularly social media, is a wonderful way to keep in touch with all kinds of people. It's also made it much easier to completely lose touch with how to treat each other. If you make a rude, deliberately offensive or even hateful comment, just because no one responds does not mean it was OK. Remember that we are all humans here, and that just because you are "friends" with someone online does not mean you know everything about them. Apparently not having to look each other in the eye makes it easier for people to type what they'd never even consider saying to someone face to face. If you want your social network to stand behind a cause that's important to you, don't forget to treat them like you would like to be treated. IT TAKES A WELL-TUNED BS DETECTOR, A GOOD GAME FACE, AND A BIT OF RESEARCH TO SORT THE WHEAT FROM THE CHAFF WHEN IT COMES TO SELECTING A GOOD SERVICE VENDOR. Here are some ideas and suggestions to help you feel more confident doing just that. No matter what your title is, if you're a gatekeeper you know who you are: You're the go-to person. If anyone wants access to company resources, they need to go through you. You're busy solving problems, managing people, herding cats, putting out fires, and leaping tall buildings in a single bound. You may not always be the final decider, but you certainly are highly influential in informing those decisions. The biggest barrier for many gatekeepers is knowledge and confidence. We avoid what we don't enjoy or feel confident doing. And then we still get stuck having to deal with it anyway. The next posts will be dedicated to BS in the following forms, and how you as a gatekeeper can empower yourself to identify and use it productively. 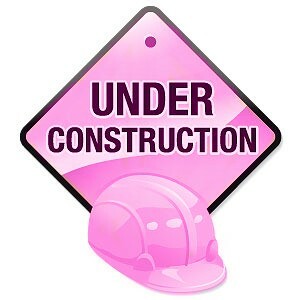 UNDER CONSTRUCTION.... Awesomeness on the way! Check back here regularly for helpful tips, tricks and maybe a little validation on business issues ranging from all things human resources (yes, it can be interesting!) to brand management, to what the heck is a hash tag anyway. (Hard) hats off to Breast Cancer Awareness Month!